An inflatable tent can be pitched in mere minutes and is a preferable option for anyone who has had issues with tent poles or tent pitching in the past. Inflatable tents we offer are ideal to be placed at any storefront or roadway, for displaying company logo or the product being promoted. 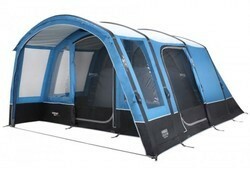 The inflatable camping tent is also suitable for protecting people from rain or shine. As a promotional tool the inflatable tents holds the key for increasing sales significantly. - DigidomeTM are wheelchair accessible inflatable portable/mobile domes. - They are available in different standard sizes. - They can be easily installed in a classroom, hall, cafeteria, gymnasium, multipurpose room, auditorium, lobby, of a school or a college. The inflatable tent range is a great option for anyone that has struggled with tent poles or tent pitching. We have been one of the leading manufacturers and suppliers of Inflatable Tent. With the help of latest technology, we are able to offer Inflatable Arches that designed and manufactured using superior quality material by neat sewing. Available in different sizes, colors and shapes, these arches are extensively used for decorative purposes in birthday parties, anniversaries and corporate events & functions. Free stand tents without any poles. Usage: Sport, Exibition , weding ,froot , Birthday Party, Royal Tent equiment ,Game also etc..